Blush + Bridal: Feel picture perfect when you say I DO! So…you’ve said yes! You’ve got a gorgeous ring on your finger and that engagement glow….and now you’re getting the wedding planning shakes. We get it. Every bride in the world wants their special day to be perfect, but there is just so much to organise right? We offer expert bridal hair and makeup, ideal for any bride-to-be and her BFF bridesmaids. We understand that every bride is different; so, from the initial meeting with our expert stylists, to the morning of your wedding day, we will put together a bespoke service for you and your bridal squad! Whether this be in the comfort of your own home, in a fancy hotel in Paris or right here in the salon, we will travel as far as you need us to! Can’t decide what to do with your hair and makeup? Feeling like you’ve been through hundreds of bridal magazines, and saved far too many photos on your Pinterest board, yet still can’t choose? Our team will work alongside you to create a bespoke look that individual to your style and preferences. 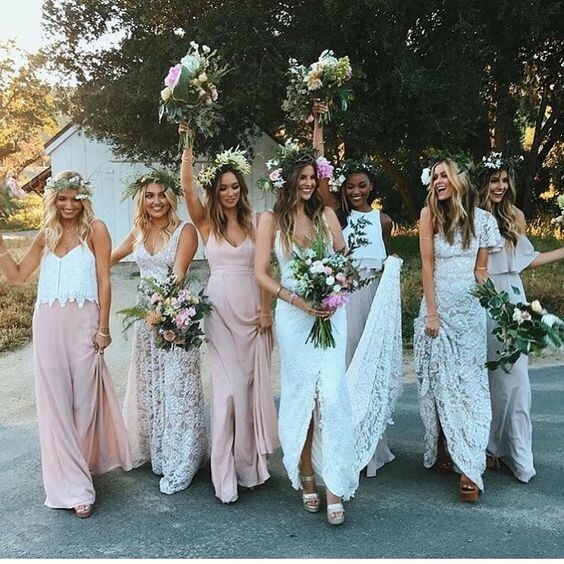 If you’re not smiling from cheek to cheek after your trial run, we will try and try again…until you are completely happy with how you and your bridesmaids look. For more information about the Blush + Bridal packages and services, contact us here Blush + Blow!